Back pain while running, particularly for long distance runners, is quite common. Unfortunately, most of these runners who experience back pain are unaware of some simple skills that they can introduce into their exercise routine to take control. In this short article, I am going to highlight some key postural change plus stretches and exercises that can improve your running whilst tackling your back pain. Let’s start with pelvic (deep abdominal muscles) and gluteal (buttock muscles) control techniques. I would say that the majority of people who come into the clinic have never been educated about the position their pelvis should be in. Placing the pelvis into what is known as the neutral position will have an immediate impact on the stability of the spine and hips. It will also improve the overall strength of the glutes (buttock muscles) for acceleration. 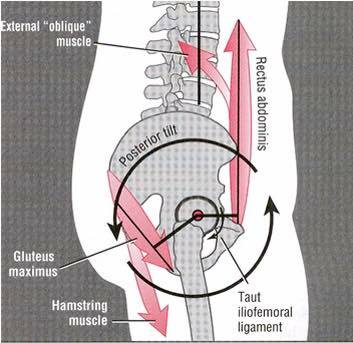 If you are unaware how to correctly rotate the pelvis, these videos review pelvic control in both daily posture and during exercise. I would recommend trying to consciously place your pelvis in neutral in every position. This includes all daily activities such sitting, standing, walking, running or playing a sport. Initially you will find it difficult but, with repetition, the brain will begin to recognise that position more as the normal postural position. With regards to strengthening, there are a whole host of things that can be done but let’s keep things simple. With these exercises you will focus on gluteal strength and core stability – two areas that most people struggle with. As your strength improves then you can move onto more difficult strengthening exercises. If you are suffering with back pain it is always recommended that you seek the advice of a professional. If you have any queries please contact Elite Therapy by email: optimum@elite-therapy.com or by phone 02476591600.